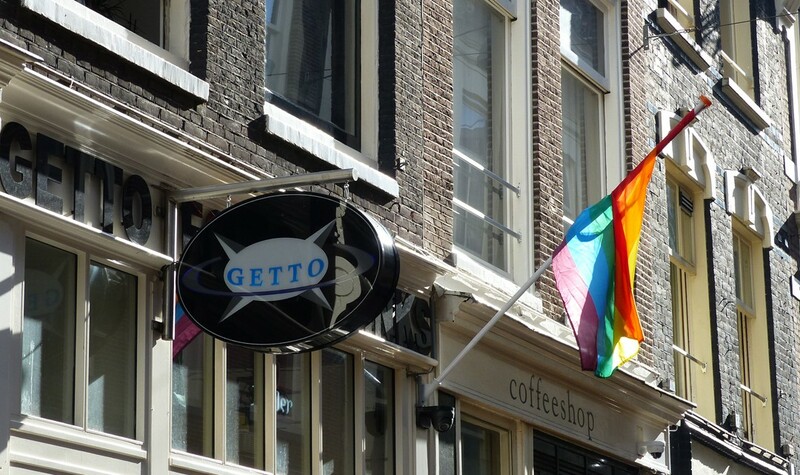 Getto is gay and lesbian friendly. Well friendly to everyone. 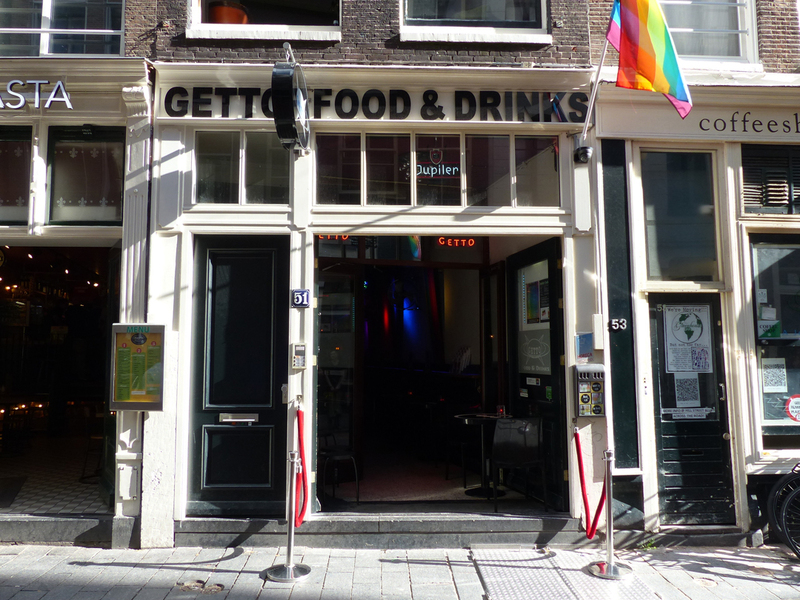 Getto is a cute gay bar and restaurant in the heart of the leather scene area, but is frequented by all ‘types’ of people. 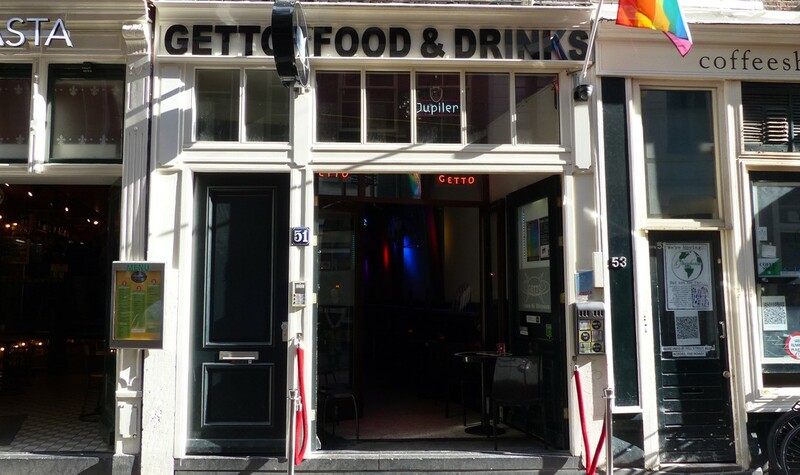 Restaurant Getto has a nice relaxed and informal atmosphere and great cocktails to go with it. 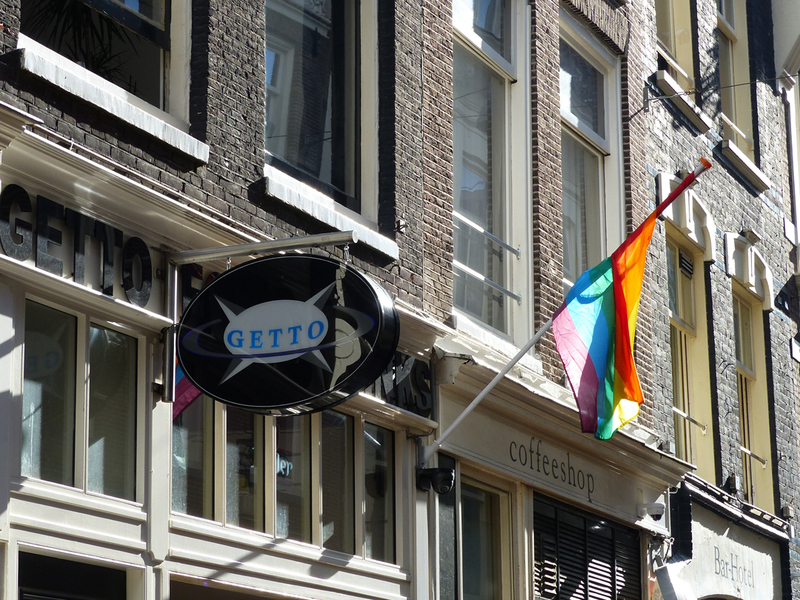 If you like hamburgers than you definitely have to go to Getto for their infamous hamburgers, which all have names of local drag queens. 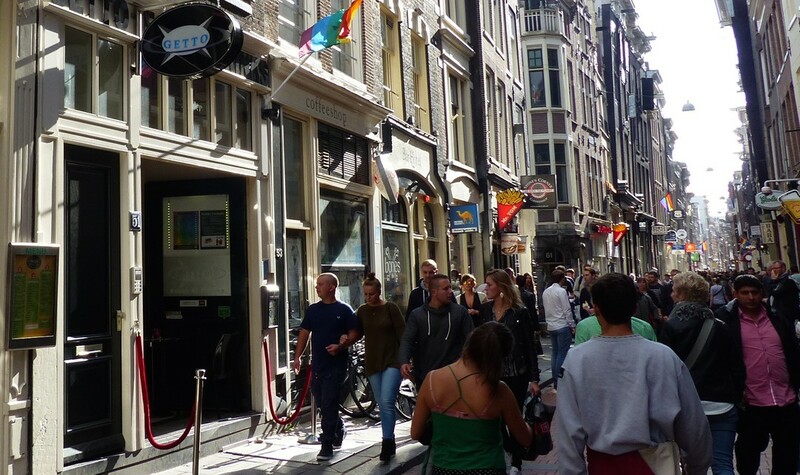 You enter Getto from the Warmoesstraat. The bar area at the beginning is a long narrow space with a large bar that takes up most of the width (understandibly as they need their space to create those delicious cocktails!). After a small lounge area you enter the restaurant part in the back. 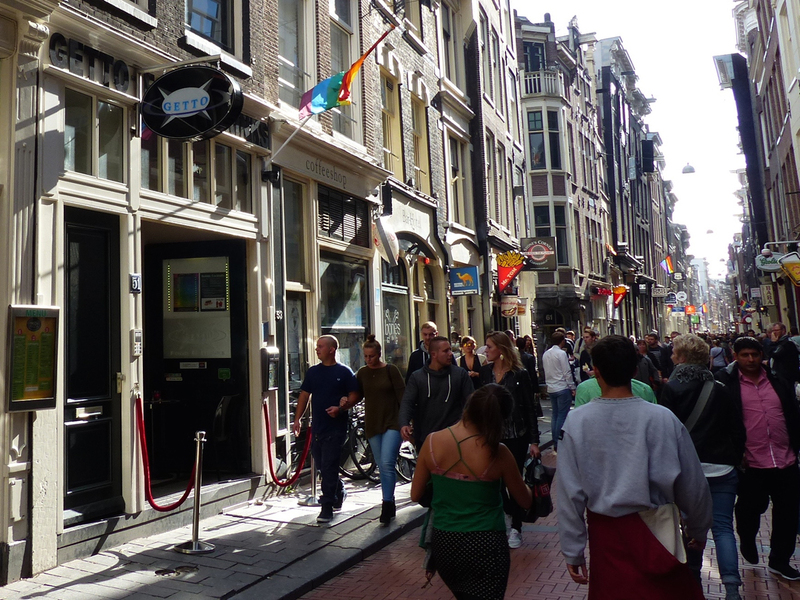 It feels as a save pocket in the otherwise busy area of Warmoesstraat and Red Light District, even though the accoustics could be better. Besides the very original ‘diva burgers’ they also offer salades, and daily menu specials are listed on the blackboard. Getto offers several vegetarian options, yes, also on the diva burgers’ menu. The staff is very friendly and funny. There is a no-nonsense, casual atmosphere where you can have a very affordable and yummy meal. Not specifically a ‘conscious restaurant’, but nobody is 100% conscious, right? We give them a 1 for animal consciousness, because of their vegetarian menu options.